Tuesdays are the only day of the week that I don't take the bus to school. Since the middle school I teach at is so far away and in the middle of nowhere, the buses are pretty infrequent to that area. Instead, my co-teacher gives me a ride straight to Jeomchon, which I'm really thankful for because if I had to work around bus times my day would surely be a lot longer. On the drive home this Tuesday my co-teacher pulled over at a small little store. I was initially a little annoyed and thinking "Oh no. What now? I just want to get home and put on my sweatpants." When my co-teacher said "Come, I want to show you a very famous bakery." 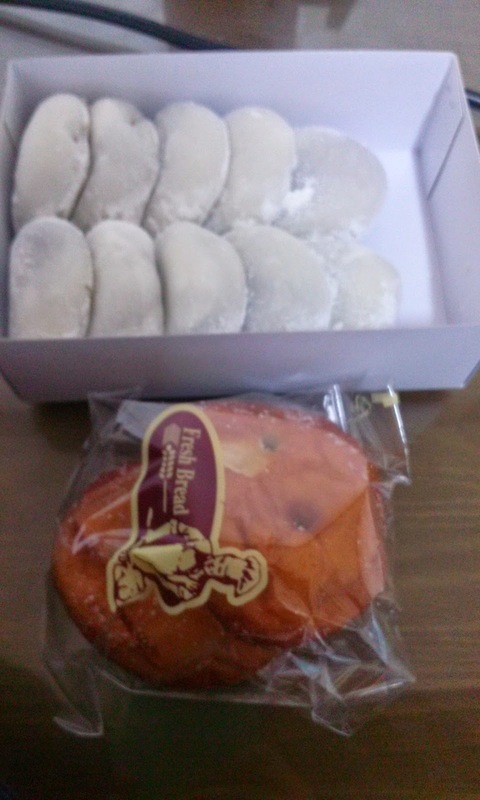 Those are rice cakes and "doughnuts", given to me well, just because. Talk about a nice surprise to end my Tuesday! The second case of random generosity I experienced this week was on Friday afternoon as I was waiting for the bus. Two elderly Koreans passed by me on some sort of farming vehicle--kind of similar to a four wheeler. As they passed by they were both grinning (I don't think they see many foreigners out that way). I bowed and said 안녕하세요(annyeonghaseyo, which means hello) as I noticed their friendly expressions. The next thing I knew they were about twenty feet down the road and yelled out "선생님! ", which literally means teacher. Although in English it would be a little strange/rude to yell out "teacher! ", in Korea 선생님is a very polite way of addressing teachers. In fact, it's usually added to the end of a teacher's name, so for example at school I am called Sarah 선생님 (Sarah teacher). 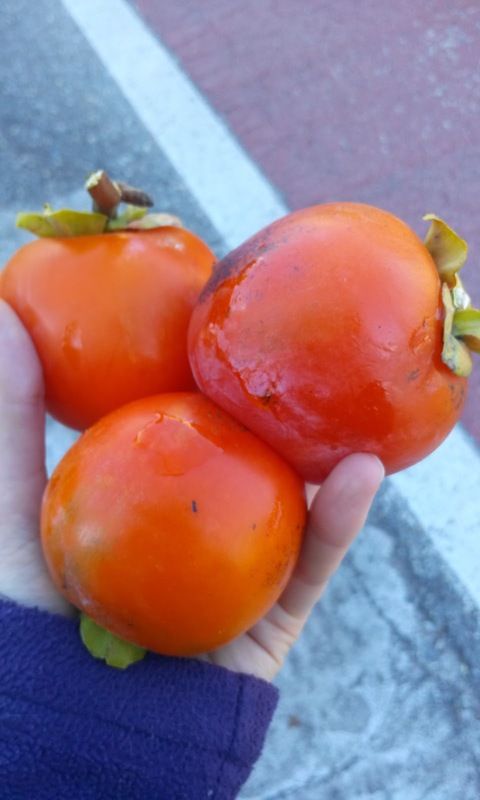 If you're not familiar, these are persimmons. They're are very common this time of year, especially in our neighboring town of Sangju, which is famous for its persimmons. Although these two moments are small and may seem somewhat insignificant, I think it's important to remember these random acts of kindness. It can be really easy for foreigners to get annoyed by Korean culture. There are many things that happen in daily life that can make you wonder "why are Koreans SO RUDE?" But to be fair, they are hardly ever being rude by their own cultural standards. Often times when westerners feel a Korean is being rude by oh let's say pushing you out of the way without saying excuse me or sorry (this happens ALL THE TIME!) it's because we are applying our own standards of acceptable behavior on a different culture. It's not actually rude to push by someone without saying anything in Korean culture--it's just the way it is in a country with such crazy population density. Does that make it any less annoying when it happens? No. It's actually something that still makes me crazy just about every time it happens. There are other instances where foreigners experience blatant racism (like not being allowed in certain bars...this happened to me once in Soeul). However, in the long run these moments are far outweighed by these random moments of kindness from Korean people. I have never experienced so many random moments of kindness as I have in Korea, and it's truly something I will miss about this country when I leave someday.